We encourage all of us to grow in faith together beginning with teaching our families how to nurture faith in the home. Three-year-olds receive story Bibles in worship in the fall. 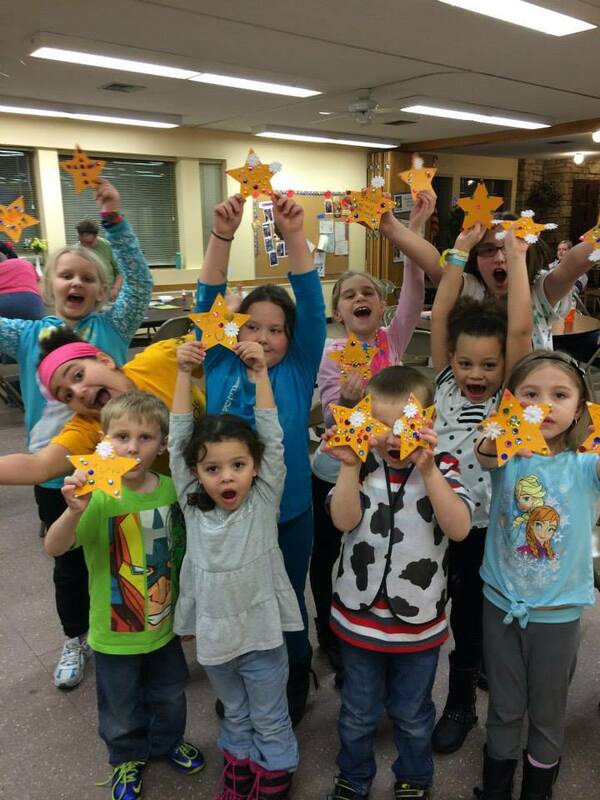 Children who are ages 4 through 5th grade participate in a monthly evening children’s ministry called, “Holy Moly”. We have supper together usually on the first Tuesday of the month and then have a Bible story and craft and singing time. Supper begins at 5:45 p.m. and Holy Moly is finished by 7:15 p.m. so there is plenty of time for children to get home and settled for the evening. 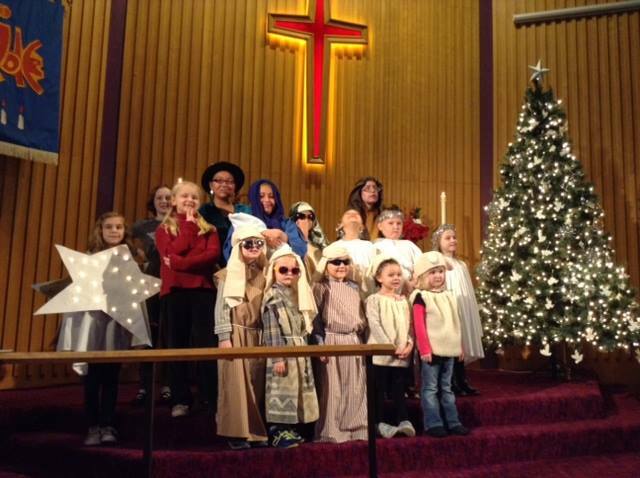 Each year the children tell the Christmas story through story and song. Practice is held throughout November and then the story is presented during worship, usually the second Sunday in December. The cast of “The Big Big Story” from Christmas, 2014. First Communion classes are offered whenever parents/guardians ask for instruction for their children. We will offer a “class” and conversation for children as young as pre-school, whenever the children are expressing a longing and desire to participate with the Lord’s Supper. 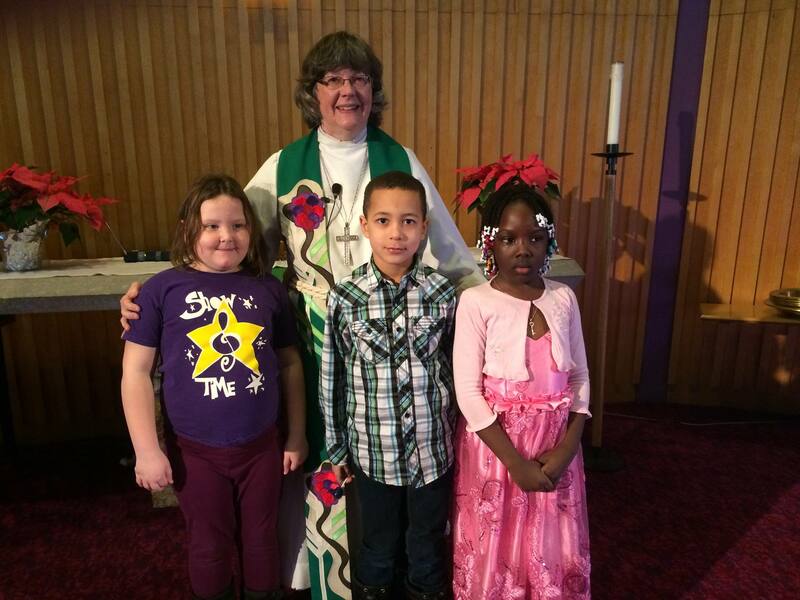 Pastor Kisten with 3 of our children, eager for the bread and the wine! 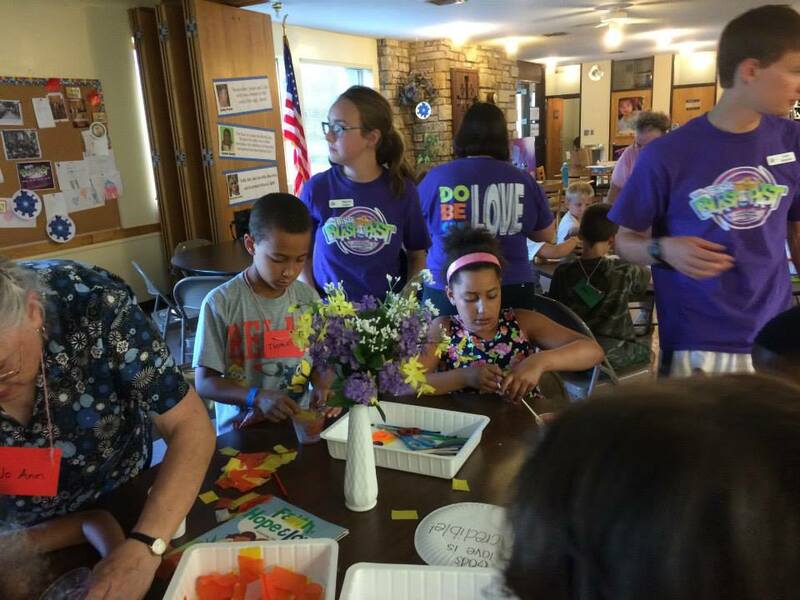 We are excited to offer Vacation Bible School each summer along with Galilee Lutheran Church in Roseville and Easter Lutheran Church in Eagan. VBS is free for all children, ages 4 through 5th grade. Confirmation instruction is offered for 6th, 7th and 8th-grade students. 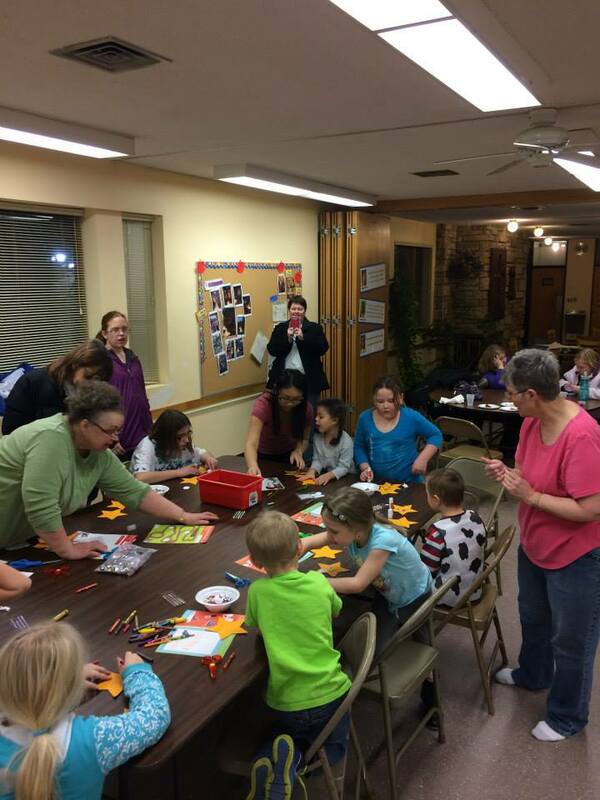 We meet twice/month on Sunday mornings following worship and collaborate with area Lutheran churches for service, fellowship and retreat experiences. 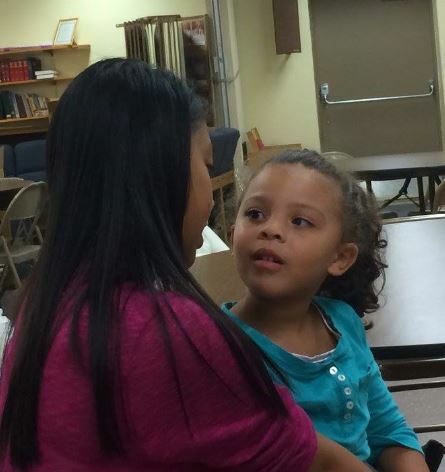 Our youth also serve as mentors with our younger children in Holy Moly and VBS. Adult Bible Study: we offer short term Bible studies on Sundays following worship or throughout the week throughout the seasons of the church year. Women of the ELCA Circle: The first Tuesday of the month is Circle Bible study for all women of the congregation. The study uses the Gather Bible study through WELCA. Most of the time circle meets at the church.